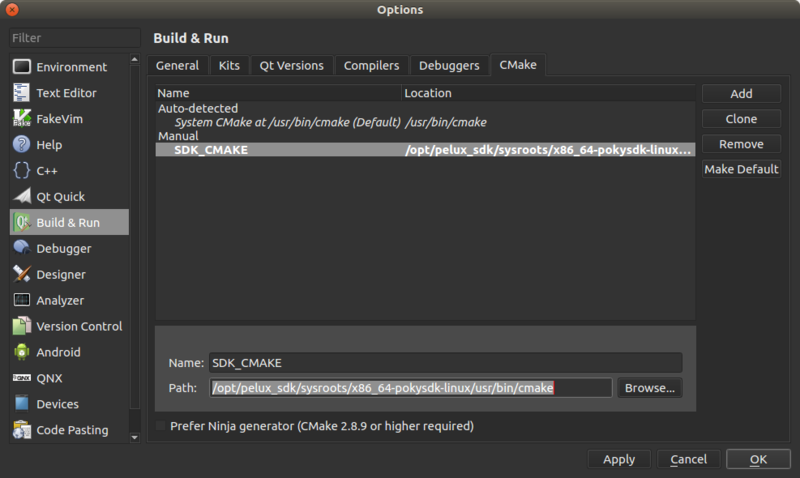 After the installation of the SDK and the sourcing of its environment, there are a couple of steps needed to integrate the QtCreator IDE with the SDK. 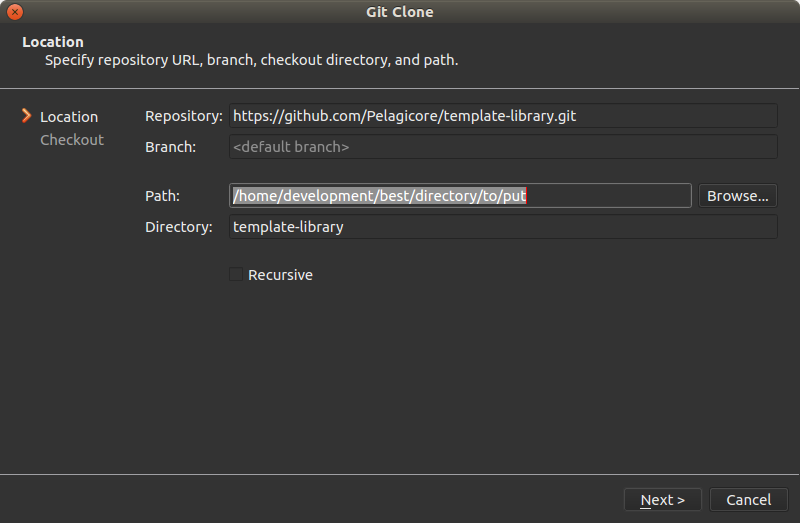 This document will guide you with the configuration of QtCreator for a remote target using a different architecture than your development machine and also help you getting started with the compilation and remote execution of a simple service. 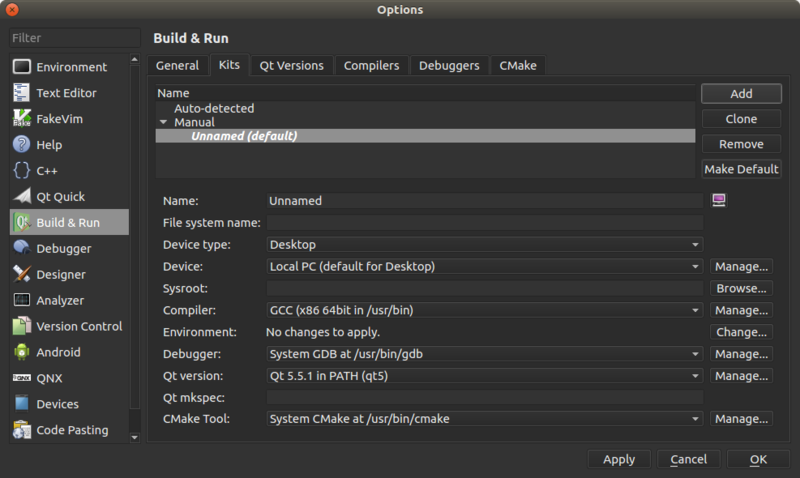 All of the commands in this page (including QtCreator) shall be ran in a shell with the SDK environment sourced. It is then advised to keep a terminal window open with the environment set up all along this tutorial. We will refer to this terminal as "an SDK terminal". QtCreator can automatically deploy and run services onto your PELUX target using sftp. In order to do that, you first need to create a device configuration. After having filled in this pane, click Next > and Finish. QtCreator will try to connect over SSH to your PELUX machine. 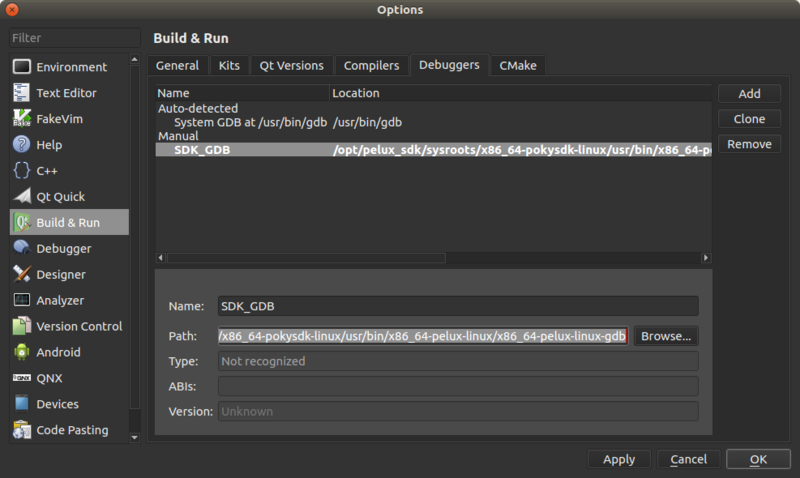 If your machine is reachable, that test should show the version of the kernel you are using on PELUX. 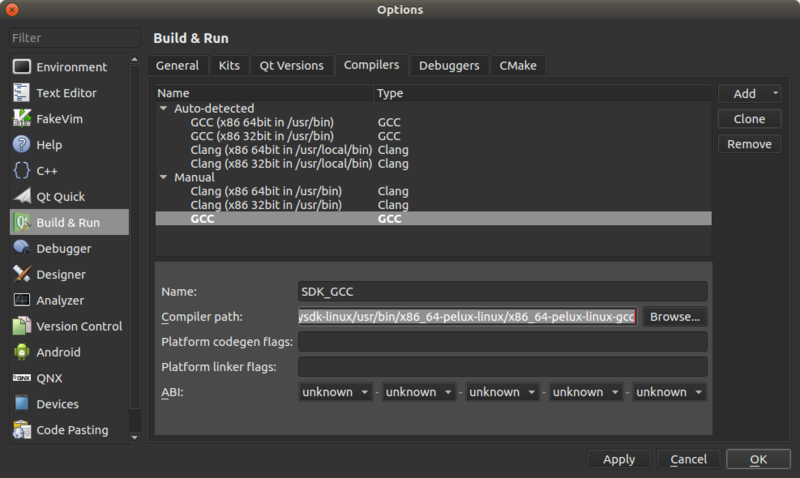 QtCreator can use a cross-compilation toolchain like the one provided in the PELUX SDK to compile software for an architecture different from the one it is running on. 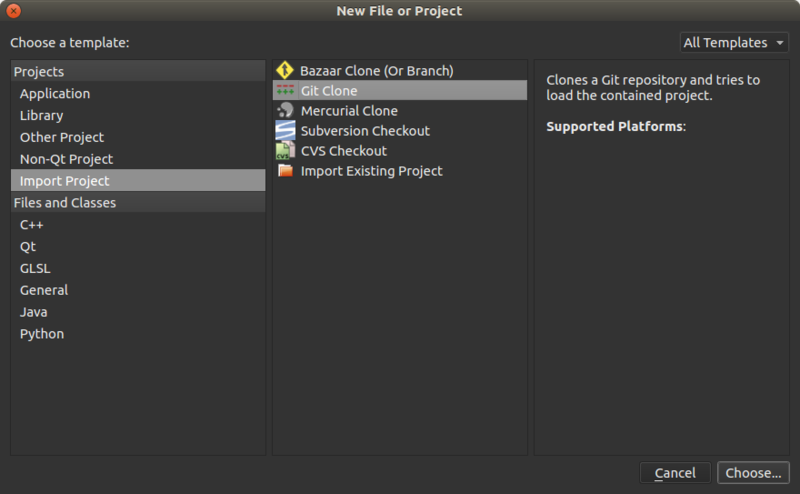 Configuring the entire toolchain takes a bit of time but only has to be done once. Select the Kits tab and click the Add button. Name your new kit with something like "PELUX Raspberry Pi"
Click OK and you should now have your Kit ready for development!